In the age of modern medicine, antibiotics play a major role in preventing serious illnesses. Unfortunately, they also kill beneficial strains of bacteria leaving our microbiome weak and vulnerable. A probiotic supplement is supposed to help our bodies regain a healthy bacterial flora. Probiotic supplements are found at most grocery stores, health food stores and pharmacies. The only trick is that they are often quite expensive, without being particularly effective. 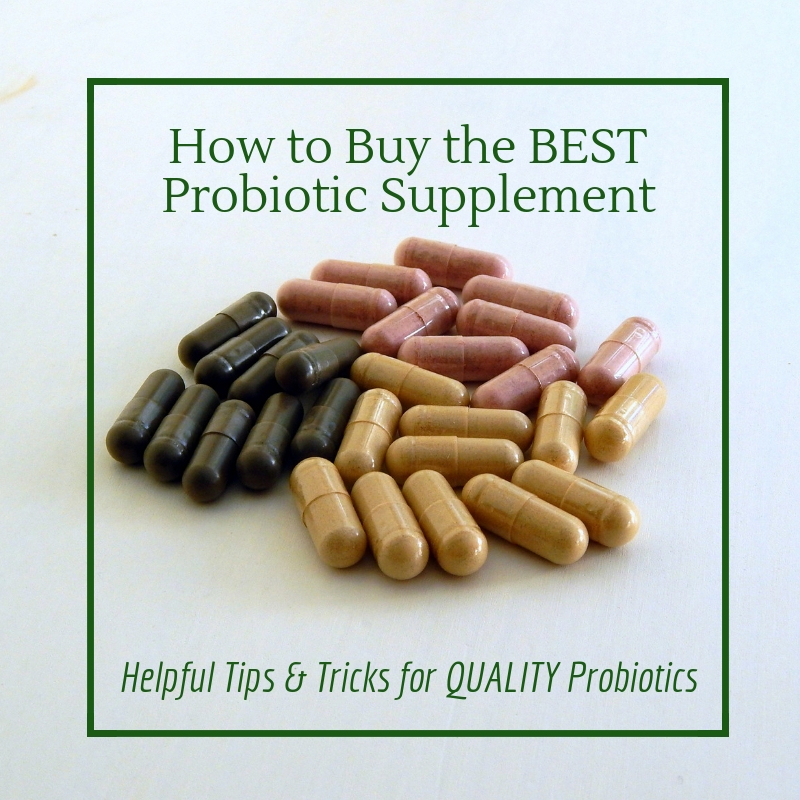 Here’s some things to consider when buying a probiotic supplement. Buy gel caps or liquid supplements. Tablets are less likely to have live bacteria. Live bacterial supplements should be stored in the refrigerator or freezer. Like probiotic products, if a supplement is shelf-stable then it’s probably not brimming with a live culture. The best way to test whether a probiotic supplement is active is to try to culture it! 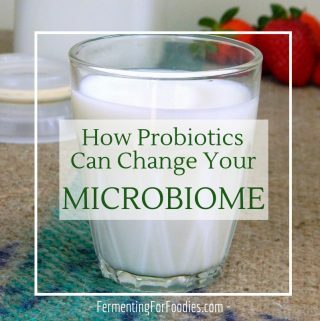 Most probiotic supplements contain bacterial strains that will culture in milk. Even a supplement that has more unique varieties of cultures will contain some strains that will culture in milk. Whether you use a vegan milk or regular milk, follow the basic yogurt making procedure using the probiotic supplement as the culture. Most tablets, capsules and powers claim to contain billions of bacteria, so they should readily culture your milk within 24 hours. If after 24 hours you don’t have a tangy yogurt then it is not a great supplement. 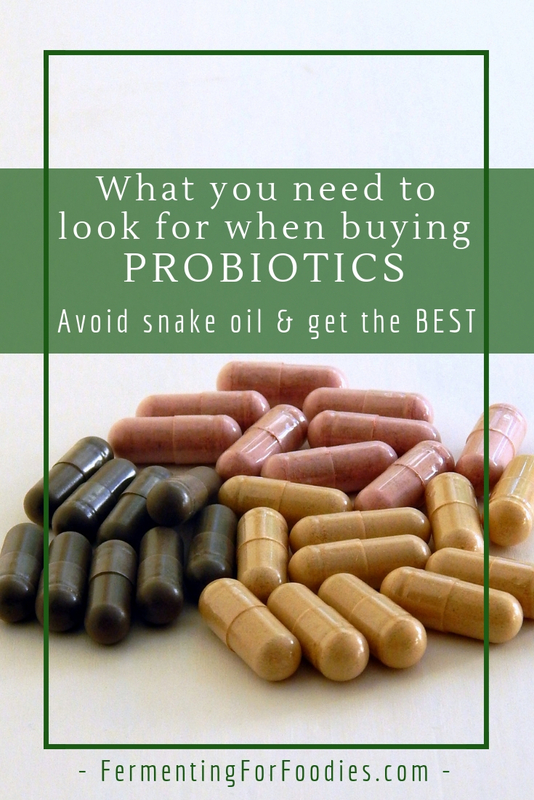 Despite all of this advice, I generally don’t recommend buying a probiotic supplement. I have tried to culture several very expensive brands of probiotics without any luck. One of them was a purchased liquid supplement through my naturopathic doctor, and despite containing several strains of lactic bacteria, I was unable to culture it. I’m not alone with my dismal findings about the effectiveness of probiotic supplements. This British Study tested 8 different brands of probiotics with very little success. At this point I think you would have better luck with growing sea monkeys. Instead of buying a probiotic pill, get your daily dose of probiotics with probiotic foods. 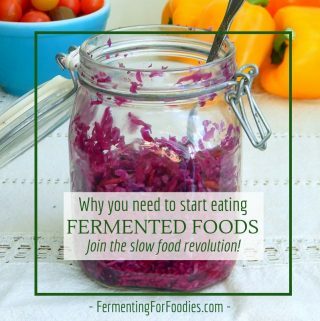 While I always recommend making your own fermented foods, there are a number of probiotic foods that can be found in the grocery store. 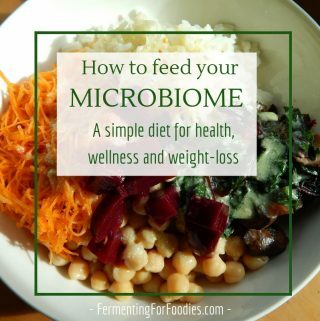 Any probiotic foods that are not in the freezer or refrigerator. Probiotics are alive and not shelf-stable. 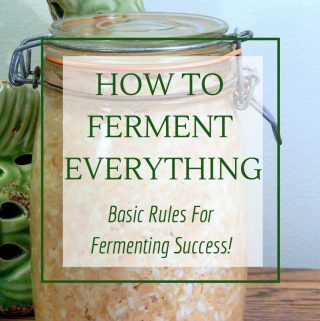 Kefir and kombucha are effervescent when they’re alive. If the container is sealed when you buy it, then it’s no longer living. Even if it is bubbly… a sealed bottle of kombucha isn’t alive. There is too many risks involved (exploding bottles, alcohol production, a super sour product). In fact I would say MOST grocery store kombucha isn’t alive. There are some exceptions, for example there are kombucha brewers selling to hippy grocery stores in my city. So beware, most grocery store kombucha is just soda pop dressed up as a health product. Yogurt! All yogurts have some live culture, though they do vary greatly on how “alive” they are. In my Canadian neck of the woods, I like Liberte and Greek Gods, which both have very active culture. Other cultured dairy products like buttermilk, sour cream, kefir (it’s usually not real kefir, but it does have lacto-bacteria living in it). Refrigerated fresh products like miso, sauerkraut and kimchi. It depends on what is being made in your region, but you may be able to find all sorts of living probiotics. Usually these are expensive, which is a good reason to try making a few DIY probiotics.